John W. Murray joined the commercial real estate industry in 2004 at CBRE where he was part of the top producing brokerage team, representing tenants and landlords in the leasing, disposition and marketing of commercial office property. After seven successful years, John left to create Murray Aronson with former water polo teammate and friend, Taylor Aronson. 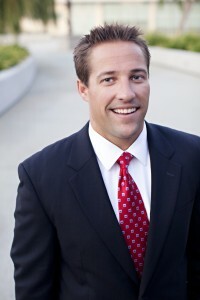 In addition to being a licensed real estate broker, John volunteers as a mentor at the Big Brothers Big Sisters of Greater Los Angeles, volunteers on a quarterly basis at The American Red Cross and the St. Francis Center in downtown Los Angeles, is an avid supporter of and volunteer for the non-profit organization Team Rubicon, and is a supporter of the Tim Griffith Foundation. A varsity swimmer at the University of Southern California, John enjoys his time outside of work playing beach volleyball and tennis, running, and reading. He resides in El Segundo, California. A cofounder of Murray Aronson, Taylor Aronson began his career as a telecommunications broker working with small to mid-sized businesses where he ranked in the top ten percent of the company in both sales and customer satisfaction. In 2011, Taylor teamed up with longtime friend, John Murray, and founded Murray Aronson based on the principle of providing unparalleled real estate service to these businesses. Taylor is a graduate from the University of Arizona and is an avid sports fans. 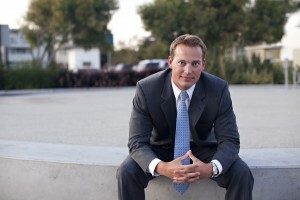 He is active with philanthropic organizations such as Junior Achievement, the St. Francis Center, and Team Rubicon. He resides in Redondo Beach with his wife Ashley and spends much of his time outside the office running on the strand and enjoying time on the beach with his friends and family.